After Williams and Sauber shared the first images of their new challengers, Renault launched its RS17 in a London event on Tuesday broadcast online. 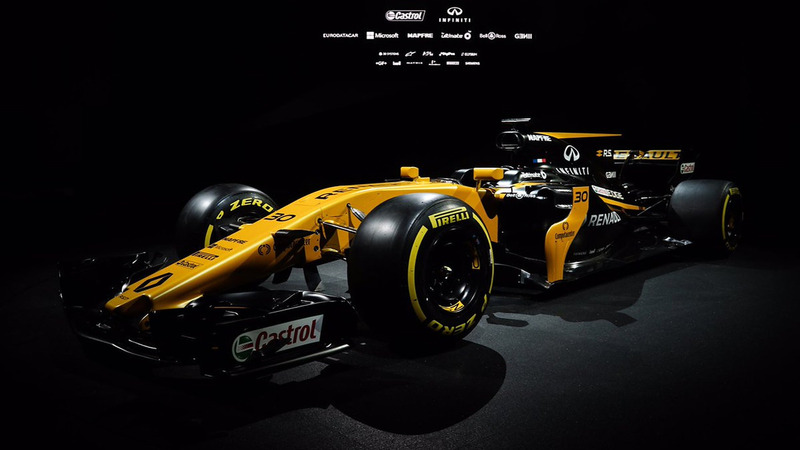 The car features Renault's traditional yellow livery, but with a lot more black than last year. The re-shaped rear wing and the thumb-tip nose design are similar to that of the two 2017 cars seen so far. It also sports the shark fin expected to be seen on all cars this year. The RS17 will be powered by the new RE17 engine, which is a departure from last year's power unit, having undergone a radical overhaul after Renault felt the old design had reached its maximum potential. Last year marked the French manufacturer's return to Formula 1 with its own team, having taken over the Lotus squad the previous year. Renault is aiming to bounce back from a dismal 2016 season where it finished in ninth position with just eight points scored. The team spent a big part of 2016 restructuring and recruiting new staff ahead of what is set to be a stronger challenge in 2017. Team principal Fred Vasseur parted company with Renault last month, the Frenchman citing differences of opinion among the senior management as the reason for his exit. Recently the team hired former Red Bull Racing man Pete Machin as its head of aerodynamics. On the driver front, former Force India driver Nico Hulkenberg joins Jolyon Palmer, the German replacing Haas-bound Kevin Magnussen in the French squad's line-up.